Telstra has taken gold in the race to switch on 5G technology, with Australia’s largest telco announcing that it has turned on its 5G network in some parts of the Gold Coast. By the end of the year, Telstra promises to have 500 such “5G-capable” mobile sites up and running. While Australia’s other big telcos are also in the race to switch on their own 5G networks, Optus and Vodafone have admitted that the move to a faster mobile network won’t be an easy task. According to Vodafone’s general manager of access networks, Tom Joynson, and Optus’ head of mobile network deployment, Lambo Kanagaratnam, 5G coverage won’t be as extensive as customers expect. The rollout would initially begin in areas where the demand is high – so the bigger cities to begin with – while regional areas would be excluded in the first few years of the switch. Having experienced new network rollouts before, both telco executives are aware that setting up 5G will require plenty of work: it will need constant testing and fine-tuning, and the rollout won’t be cheap. They agree that 5G networks will need more base stations that will require land to be leased, and more expensive equipment to be purchased. Then there’s the issue of finding sufficient power to make that equipment work. 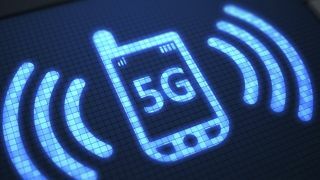 According to The New Daily, the Australian Radiation Protection and Nuclear Safety Agency (ARPANSA) has called for more research to be conducted on 5G networks. “For frequencies above 6 GHz where 5G will operate, the electromagnetic energy is not absorbed by the body and the energy causes heating at or near the surface of the skin,” the agency's health services assistant director Dr Ken Karipidis told The New Daily. He added that “although no health effects are expected from exposure to 5G, ARPANSA has recommended more research focusing on the effects on the skin and cornea, the external part of the eye”. And while it’s exciting from a consumer perspective to have access to high-speed mobile speeds, the widespread adoption of 5G definitely seems to lie at the end of a long and bumpy road.